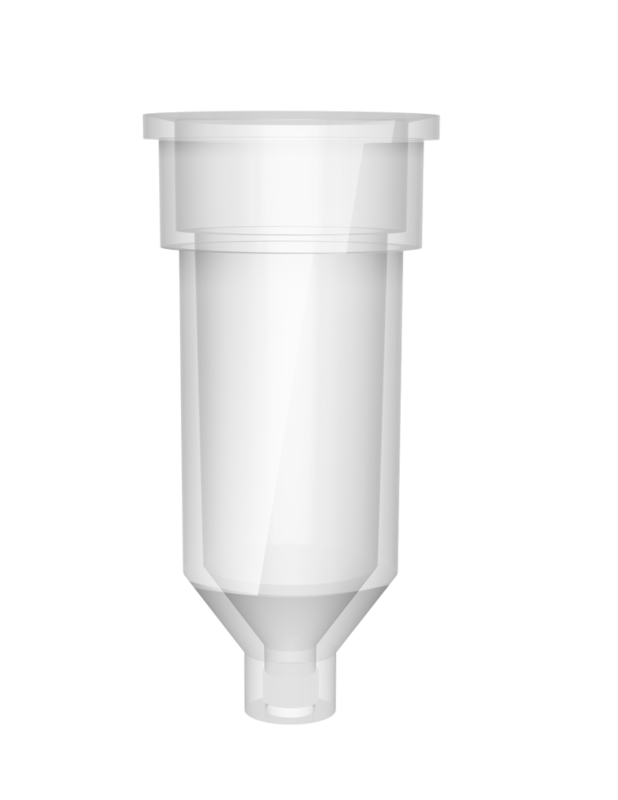 The conventional method can have biasing effects on what you actually recover. Kim et. al. 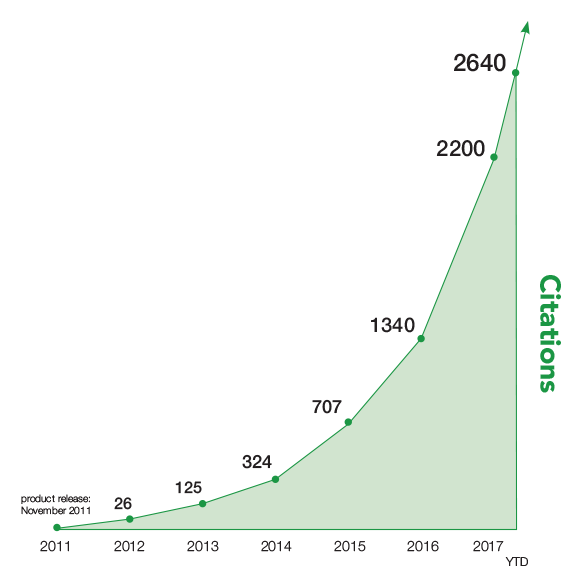 have shown that for TRIzol extractions there is bias in miRNA recovery depending on the amount of input used – small RNAs with low GC content were lost when the amount of cells were smaller. 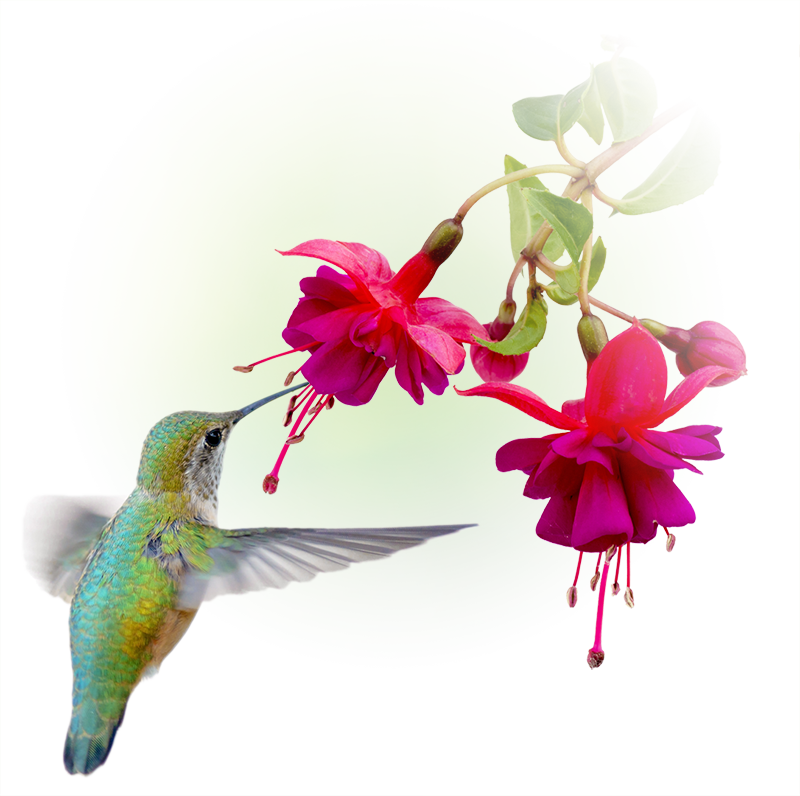 To obtain results you can trust, use Direct-zol™ to recover ALL the RNA in a sample. 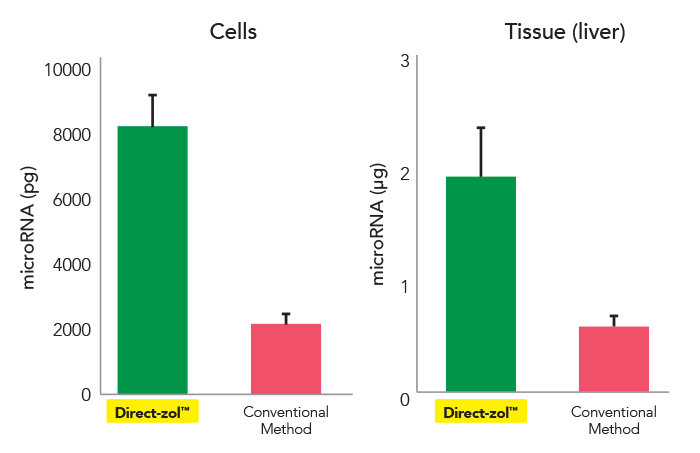 Direct-zol™ RNA kits recovered ~4-fold more miRNAs (< 40 nt) than conventional methods. miRNAs purified from cells and tissue were quantified using Bioanalyzer small RNA chip. 7 min. 90+ min. 30 min. 30 min. 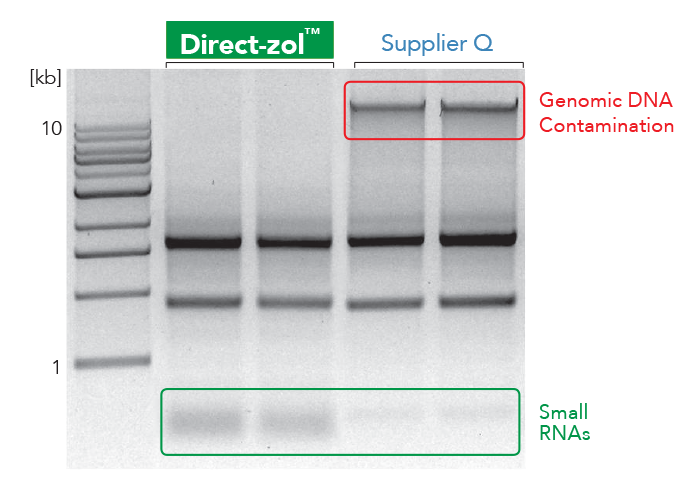 DNA-free RNA purified from human epithelial cells using Direct-zol™ compared to a genomic DNA containing preparation from Supplier Q.